Home - Two-day extravaganza in Siem Reap! 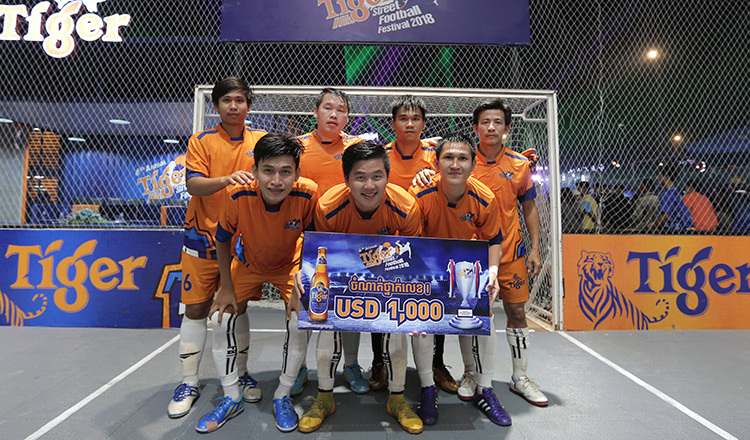 The team that qualifies from this provincial round will not only win $1,500 in prize money but also bag a ticket to the March 10 and 11 Sixth Annual Tiger Street Football Festival grand final in Phnom Penh. The team that comes runners-up will win $1,000. Teams placed third and fourth will win $500 and $200 respectively. 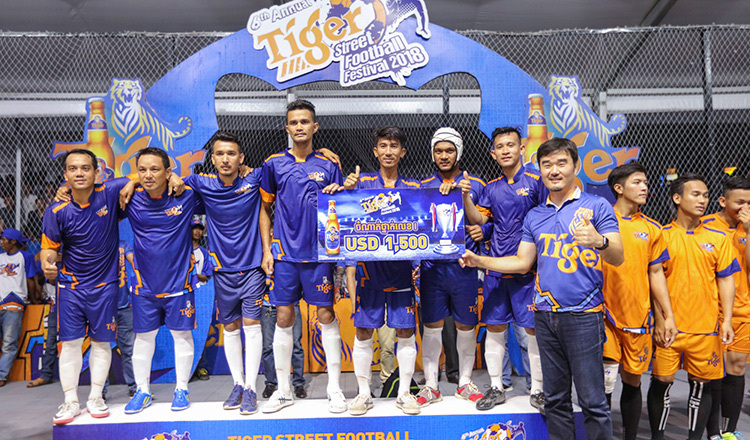 With a total prize fund of $50,000 up for grabs, the grand final will see winning teams from Sihanoukville, Kampong Speu, Battambang, Siem Reap, Poipet, Kampong Cham, and Kandal, playing off each other to win the national 6th Annual Tiger Street Football championship. The national champion receives a cash prize of $15,000, the first runner up $5,000, the second runner up $2,500 and the third runner up $1,000. Tomorrow, performers like Sokun Nisa, Nop Bayarith, NY Roatana, Chhin Ratanak and Mong Chankanha will be entertaining crowds at Siem Reap city. On Sunday, Aok Sokhun Kanha, Chhoan Sovanreach, Sous Visa, Sok Seylalin and Khy Sokun will be on stage providing top-class entertainment. 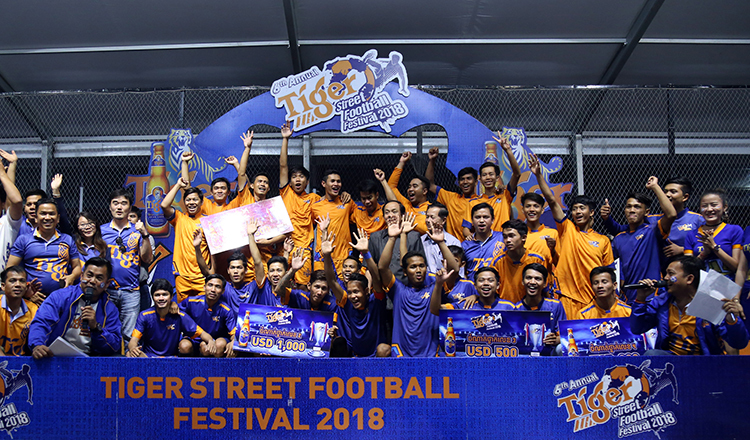 The 6th Annual Tiger Street Football Festival kicked off on January 20 in Sihanoukville and to date provincial rounds have been held in Kampong Speu and Battambang provinces. After Siem Reap, provincial rounds will take place in Poipet, Kampong Cham and Kandal provinces. Last weekend 79 teams in Battambang tested their skills in a specially constructed futsal cage. PCO came out on top in a close contest against their rivals FC Crown in last Sunday’s final. In a final devoid of goals, locked at 0-0, and into extra-time, a quick breakaway saw PCO seize on a failed FC Crown attack to smash the winning goal from a yard inside the half-way line. 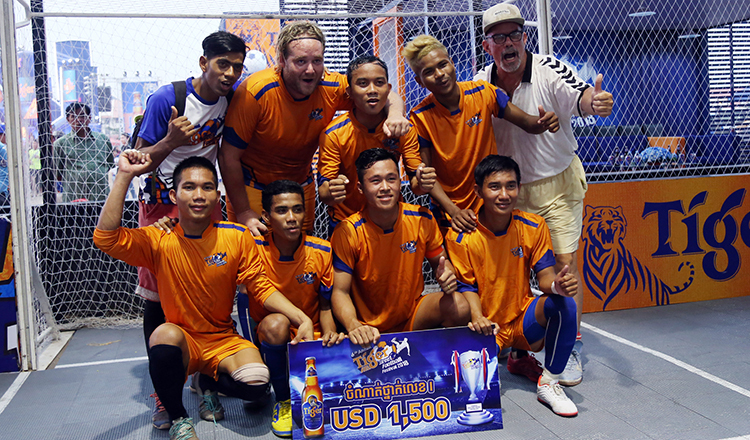 It was PCO’s day as they sealed their spot for the Phnom Penh final and a prize of $1,500. The runners-up received $1,000, while third place garnered a $500 prize. After celebrations were over and prizes had been dished out, renowned musicians including Pich Sophea, G-Davith and DJ Maily took to the stage to entertain the Battambang throng into the evening.